Welcome to the Department of IPE, NITER. Overview: Industrial and production Engineering (IPE) is a lucrative subject in both national and global arena. As Bangladesh has full filled the conditions of getting out of least developed country (LDC) and bouncing towards a sustainable, welfare and developed country with massive industrial development, it needs quality, intelligence and innovation in every sector more than ever. Keeping this fact in mind Faculty of Engineering and Technology of University of Dhaka introduced IPE subject in NITER from 2017. Industrial and Production engineering deals with engineering expertise like system development; optimization of production line; proper utilization of resources like men, machine and materials; data analysis; design optimization; product design; automation and industrial robotics; Nano-technology and management skills like quality management, planning and coordination, supply chain management, marketing management etc. The basic difference between any other branches of engineering with IPE is that IPE puts equal importance on both engineering and management emphasizing communication skill development that leads to professional skill development from student life. 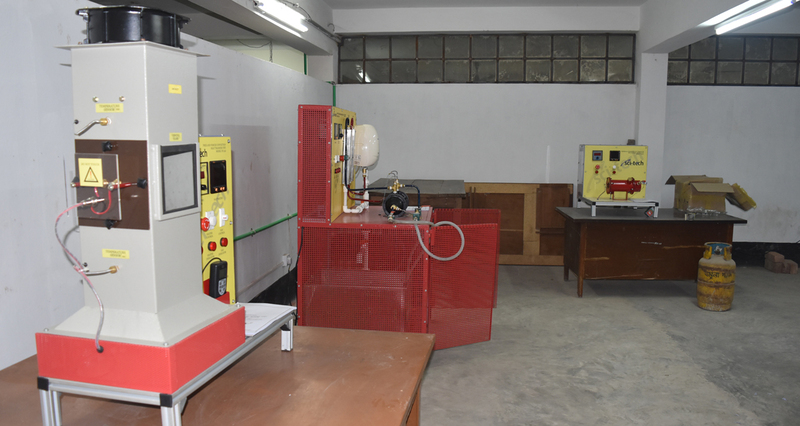 The IPE department of NITER is a rich department with all modern and effective lab facilities and well capable of ensuring that its graduates will be able to take the challenges with modern machine, equipment and techniques in industrial sector. To keep pace with newer technology and ingenuity all around the world, every year the department procures modern and latest version of lab facilities. We also ensure that, our aims are not only to produce an efficient engineer, but also well-educated and punctilious leaders who can really contribute to the development of the country through uplifting our industries. The knowledge of the industrial engineers, acquired by our research based educational system, can contribute to formulate or optimize a process or a system which will provide the expected output with minimum environmental chaos. At present there are seventy students in each batch of IPE department. Different seminars, project work competition, corporate talks, frequent industrial visit to gather real life experience are some of the salient features of this department in NITER. We have energetic and highly experienced faculty members and technical officers who are owned this institute as well their students. Like other department of NITER faculties are selected meticulously with foreign degrees and/or flourished background from top prestigious universities of Bangladesh.